Every spring, the teams and clubs gather in the field house to welcome the incoming freshmen, show them the variety of activities available, and sign up potentially interested students. 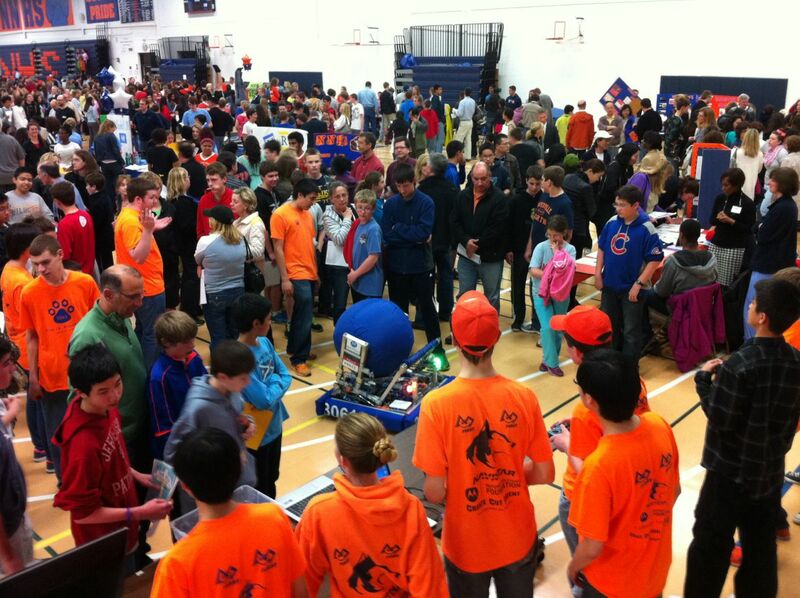 Huskie Robotics, FIRST Team 3061, and Physics Club were there in force. This year’s robot, Annie, drew a crowd and the students, as always, did a fantastic job sharing their passion for FIRST and the team. Sixty five incoming freshman expressed interested and signed up. This year we gathered their personal email addresses so we can invite them to summer events.